I am an authentic feline. I love myself above everything else. I have no time for others, I spend most of the day sleeping, eating and keeping myself clean. I have no time for anything else, for that I have a human. I have spent many years training her to realise that I am the part of her life that gives her meaning for her existence. She empties my recycling tray when necessary and ensures that my food and water bowl are always full. I only have to meow and she is there asking what is wrong and tending to my needs. She tends to overdo it with vet visits, and once a year takes me for my jabs, which she finds are necessary to keep me healthy. She has a habit of serving hard vitamin pellets, finding they are good for me, but nobody is perfect, except for me. 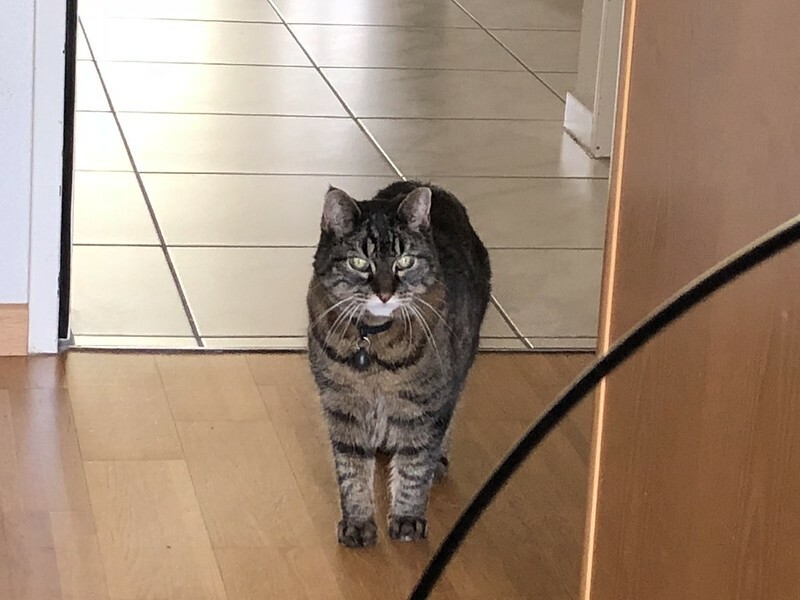 And now I must go, I can hear the sound of a tin opener which means another duty will be completed in the fulfilment of my need for tuna fish. It is time for a tummy tickle. Yes, humans have their purpose in a feline life, you just have to train them. Yes I know, but I am the most beautiful tabby cat using the superlative of course. You’re right, Tabby. You are the most beautiful tabby cat in the domicile of Mr. and Mrs. Angloswiss. All is very true, and no matter how hard humans resist, they eventually fail and become slaves. That is the difference between ex-gods and a plain ordinary human. Nobody is perfect — except Tabby. I like that. Tabby is unique in perfection, at least she thinks so. It is hard to train humans. Good job, Tabby!